After we drive away from the Old Airstrip we get back on Hwy 17 heading north. We’re starting the day with the Chuck Berry classic “No Particular Place to Go” as our first road tune as usual. 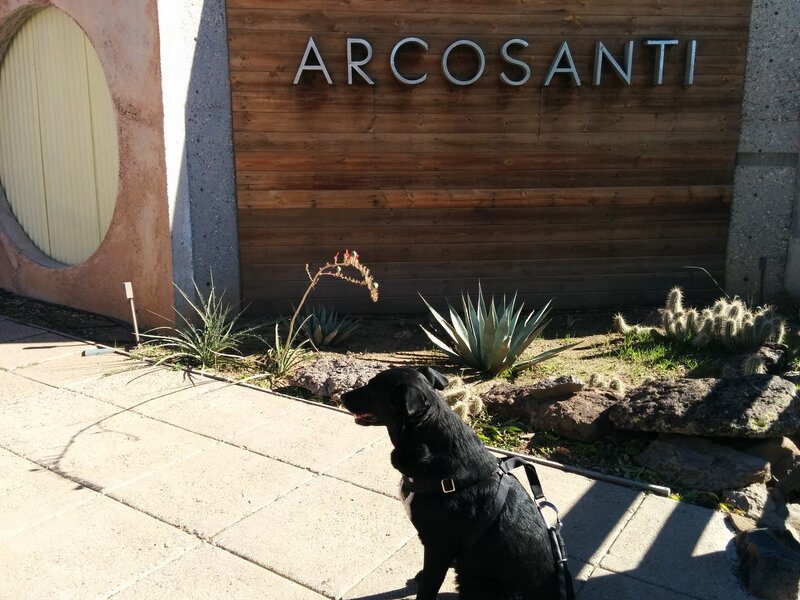 Keeping in mind our principle about brown signs I notice one that says Arcosanti which brings back memories from long ago. When I was a wee young lad my parents took the family on a Southwestern roadtrip and one of our stops was Arcosanti. Back then it was only a few years old. 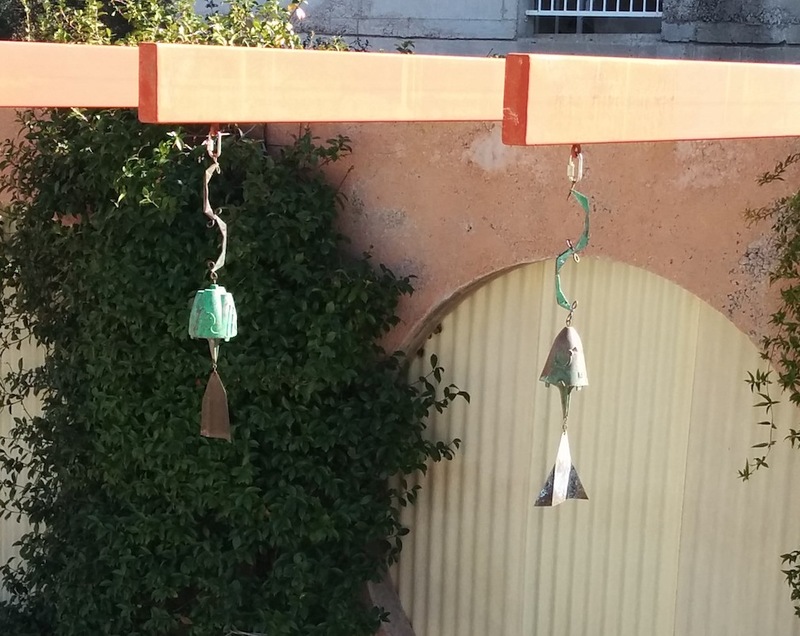 I don’t remember that much of the visit itself but for years afterwards there was a big Arcosanti coffee table book in the living room and one of those iconic cast wind chimes hanging at the front of our house which is still there today. So, we decide to take a peak. Sadly we missed the 11am tour time by just enough that we didn’t want to wait until the next one at 1pm so we just took a few pictures and got back on the road. For future reference tours are, in general, at the top of the hour (except noon) and dogs on leash are more than welcome. Whenever we’re in Arizona we inevitably gravitate towards Jerome, a cool little town perched on the side of a mountain with a rich history, a vibrant community and a cool nightlife. So…Jerome bound.